Ordinarily, I'd take Allen's comments about "the team that plays the hardest wins" with a big ol' grain of salt. However, in the NBA the level of talent separation between star and reserve isn't that vast, and most of it can be made up by, I almost hate to say this, hustle and determination. 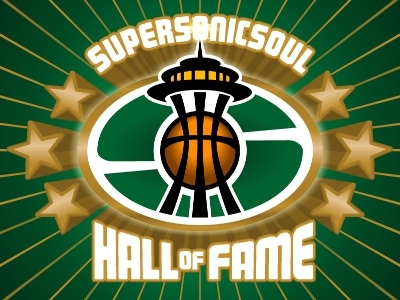 That said, it's clear the Sonics would be nowhere without Danny Fortson. He isn't just the team MVP, he's borderline the Second Coming for this city. 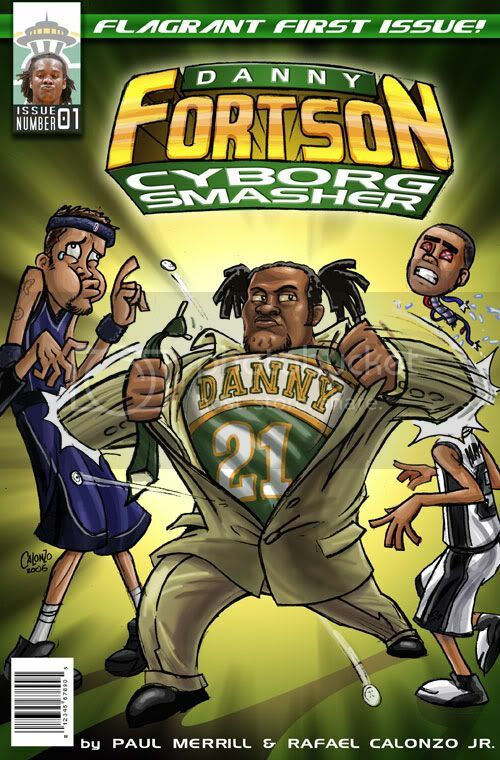 God bless you, Danny Fortson. My favorite thing about Da Fort is that, even though he tends to get his inside shots stuffed back in his face a lot, he somehow gets the ball back for a second or third try. Most guys who get their shots blocked turn invisible out of sheer embarrassment. Da Fort doesn't seem to care, as long as he gets that ball back.